This study revives the forgotten vision for a national water garden by internationally-renowned mid-century architect Edward Durell Stone, a native Arkansan. 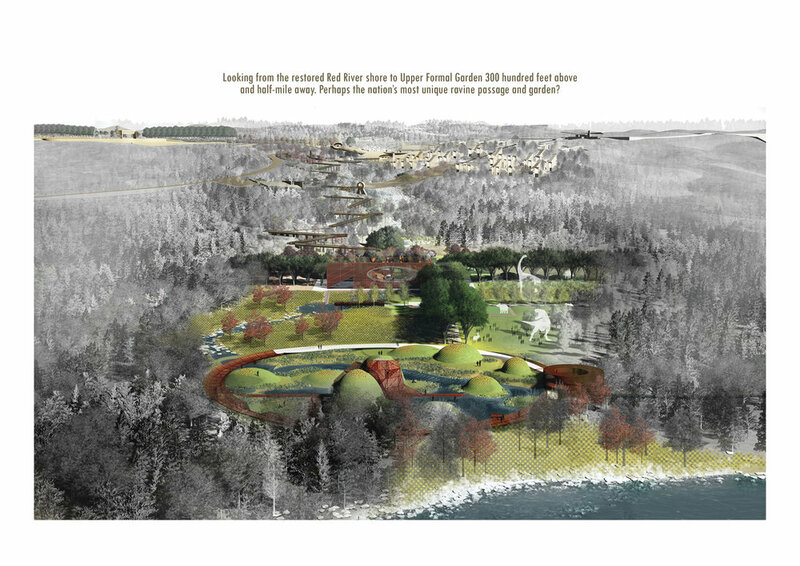 Contemporaneous with his design of the Kennedy Center in Washington DC, Stone designed an equally monumental park to accompany the Greers Ferry Dam in Heber Springs, Arkansas. Completed in 1962, the dam was part of a reservoir-building program to generate hydroelectric power in tandem with economic development and new town development for this rural area. Influenced by the hydraulics in Roman and Persian water gardens, Stone’s masterful vision deployed late modernist tropes combining monumentality and glamour across the 269-acre (109 ha) site. 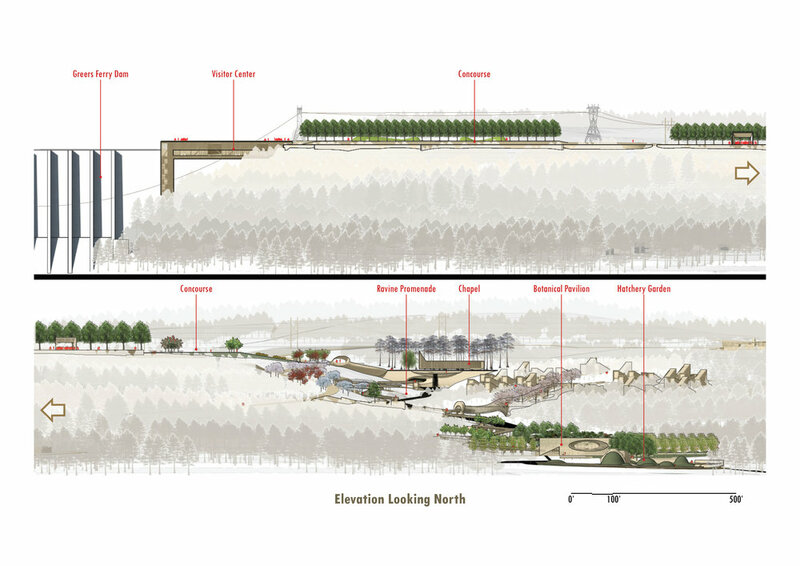 Despite the site’s 240-foot (73 m) drop into a ravine, Stone’s schematic vocabulary left gaps on matters of passage over the terrain, native planting, and water as an experiential medium. Designed in a different era, Stone’s design did not account for ecological fit or visitor-centered approaches to support park operations. The 2016 Plan introduces a robust botanical function—the collection and display of plants. Architectural structures, botanical displays, and walkways engage and educate the visitor about natural systems in non-traditional ways. The updated plan shifts Stone’s overreliance on Roman and Persian garden imagery toward a more place-based expression of each of the garden’s four territories. Essentially a heritage preservation project despite not having been built, the 2016 Plan shows that preservation can be an innovative platform for reframing and refreshing the contemporary.